On Christmas night the Lawrence County Sheriff’s Office arrested Michael Barnard ,age 41, of Imboden on charges of possession of a controlled substance (marijuana) and possession of drug paraphernalia. The arrest came after deputies responded to a call about some horses being out. Deputies went to Barnard’s residence to advise him his horses were out again and that he needed to fix his fences. Deputies received information that Bernard was involved in illegal drug activity. A check of Bernard showed him to be on probation and sis for drug charges. A sis search was conducted and deputies found marijuana and drug paraphernalia on Bernard. Inside his residence deputies found several items of drug paraphernalia with meth residue. 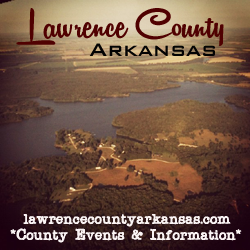 Bernard and the deputies put the horses back in their pasture before Bernard was transported to the Lawrence County Jail to await a bond hearing.